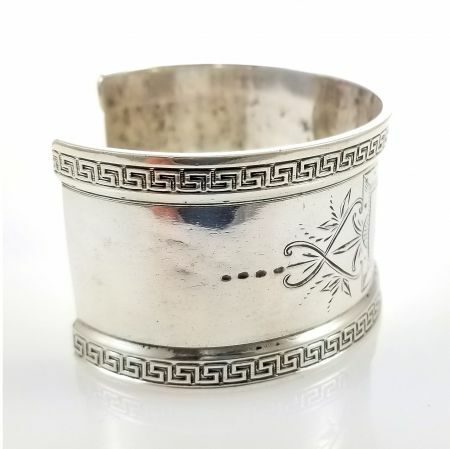 Description: An antique sterling silver cuff bracelet with hand engraved embellishments with Greek Key edging. Converted from the very well known makers Wood & Hughes of New York. It is 1 1/4" in width with hand chased foliate engraving. 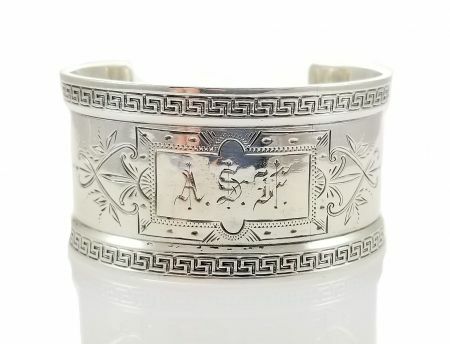 Across the front the cartouche has an engraved monogram ASF in old English font. 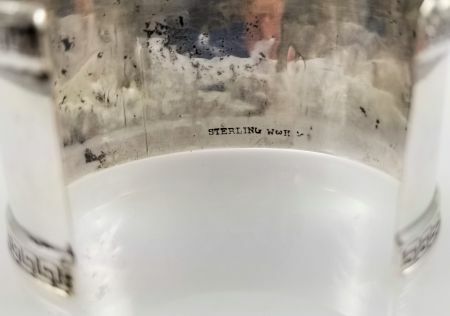 Marked W & H Sterling. The shape can be adjusted for any size wrist by your local jeweler for a final fit. Circa 1880's. Weighs 26.7 grams. 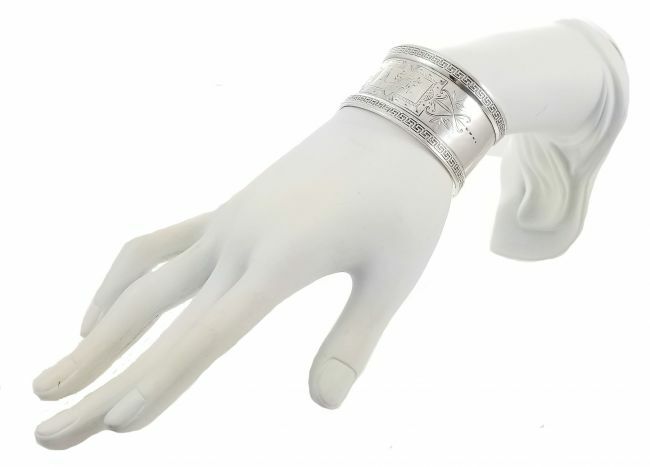 Measurements: The inside diameter measures 2 1/4" at the widest and fits on an average sized wrist. Condition: Good with signs of wear appropriate for its age.